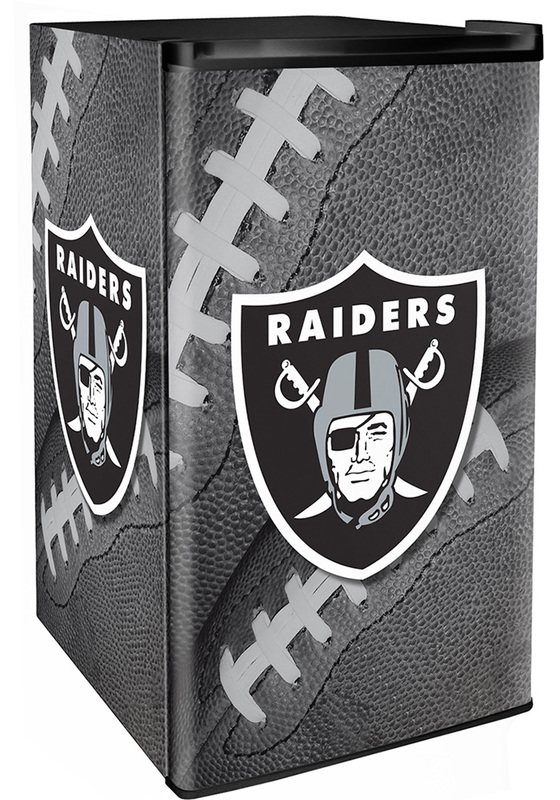 Always have your favorite beverages within reach with this Oakland Raiders Black Counter Height Refrigerator. Featuring a Oakland Raiders wrap. With a volume of 3.2 cubic feet this counter height fridge holds up to 84 cans. 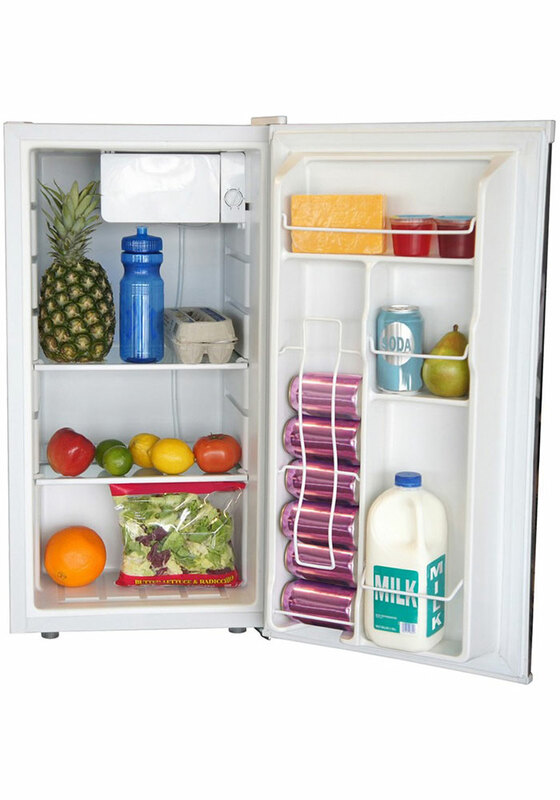 This fridge has auto cycle, defrost, worktop, sliding shelves and freezer, this is perfect for dorms, dens, basements or bars.